Communities all over the country are finding ways to break the macro barriers to microgrids. As we flip from a top-down to bottom-up grid management structure, major policy barriers must be lifted in order to expand energy democracy to customers and producers. A group of interconnected loads and distributed energy resources within clearly defined electrical boundaries that acts as a single controllable entity with respect to the grid and that connects and disconnects from such grid to enable it to operate in both grid-connected or island mode. The economic case for microgrids grows as the cost of distributed generation and energy storage continue to fall. Some companies already offer turnkey “nanogrids” that serve a single building. Larger, community microgrids are also being built, testing out the technology, and the business and legal models. A few states such as New York and California are changing the rules and offering funding to accelerate development of microgrids. Microgrid controllers, the “central brain,” have typically been individualized, inhibiting easy replication and increasing cost. Microgrids are just one more way that the grid is becoming democratized and miniaturized. To some extent they are unstoppable, the continuation of economic and technology trends favoring local, decentralized power generation. But microgrids are also a unique challenge, a “back to the future” moment that runs afoul of decades of policy centralizing ownership and control of the electricity system. State policies are at best ambiguous and at worst hostile toward microgrid development. Whether microgrids will be mighty depends on whether the rules will change in time to allow it. The electric grid pulses with the power from thousands of large power plants, pushing electrons in every direction. It’s considered one of the greatest engineering achievements of the 20th century. Every year in the United States, homeowners and businesses spend more than $360 billion on electricity. That’s more than two percent of the national gross domestic product, flowing out of towns and cities to reimburse owners of huge power plants, far-stretching power lines, and a century-old style of energy production. The very scale of the electricity system introduces inefficiencies. Most power plants waste two-thirds of their fuel’s energy as heat. Transmission and distribution power lines lose another two to 13 percent of the energy. Meanwhile, monthly outages have increased six-fold over the past decade. According to a Lawrence Berkeley National Laboratory study, “increased [transmission and distribution spending on the grid] in the previous year was not correlated… with improvements in reliability in the following year.” According to the same study, extreme weather conditions – most likely exacerbated by climate change and carbon pollution – are correlated with an increase in outages. The electric grid is no longer a 20th century, one-way system. Customers can increasingly make choices to have greater control over reliability, resiliency, and more renewable energy. Encouraged by rapidly decreasing costs, people have put solar on their homes, sending energy back to the grid. Smart devices such as batteries and thermostats can work with the utility to absorb or lower energy use. Electric car batteries can store plentiful solar and wind energy. With larger buildings or campuses, combined heat and power systems transform inefficient power only systems into highly efficient heating and power resources. This constellation of distributed energy technologies is now enabling the microgrid, one of many new local solutions to generating energy. Ironically enough, the industry is going back to the future, back to the time of the fledgling electric utility companies that emerged after Thomas Edison opened his small Pearl Street, New York City power station in 1882. Edison envisioned that the electric utility industry would involve small firms generating power for individual businesses through such networks. By 1886, Edison’s firm had installed 58 micro-grids. But soon, the emergence of alternating current enabled long distance transmission of electricity, which helped shift the focus to the larger utility monopolies that dominated power markets for the next century. In other words, a microgrid is a number of generation and storage resources that can connect and disconnect from the grid at-will. Microgrids today can serve single buildings. These are nanogrids, often featuring a single backup generator, perhaps with energy storage, to support minimal building operations when the larger grid goes down. These nanogrids are small, usually under 100 kilowatts (kW). Campus microgrids join together several buildings owned by one entity, such as a college or business. These structures often incorporate combined heat and power generators to supply the majority of their electricity and heating needs. Remote microgrids, such as those in rural Alaska or on islands, do not have the benefit of using the larger grid for backup, and as such, provide all the energy they need. While these remote systems do meet the DOE microgrid definition, they have been pioneering greater resiliency through renewable energy well in advance of the lower 48. It is estimated between 100 and 200 remote microgrids are fully functional today, providing power in the absence of traditional grid infrastructure. 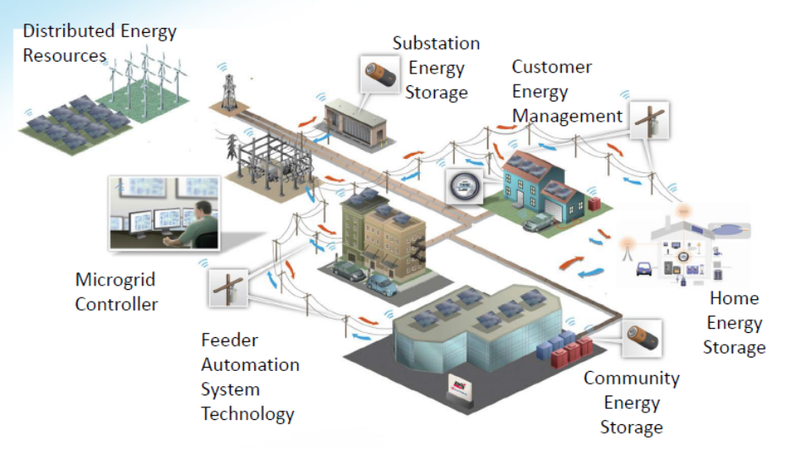 More advanced microgrids, as featured in the prior image, connect multiple unaffiliated end-users with multiple types of generation, storage, and smart devices. These can be known as community or utility distribution microgrids. Microgrids are currently uncommon, with 1.3 gigawatts of capacity online in 2015, about 0.1% of total U.S. installed electric generating capacity. 80 percent of operational microgrids exist in just seven states, mostly those that actively designed laws to accommodate their expansion. Some analysts predict their number to double or triple in the next five to ten years. Many regulatory, financial, technical and cultural barriers exist against their easy deployment. To provide certainty of power supply at military, university, school, or hospital (MUSH) facilities or commercial complexes such as data centers that can’t risk losing power. The vast majority of microgrids are campus systems, including military bases, serving a single electric customer. A smaller fraction of today’s microgrids serve multiple, unaffiliated end-users in a community microgrid. While emerging state programs specifically support this new “community resilience” market, very few of these systems are currently running. Today’s microgrids rely heavily on natural gas and diesel burners often in the form of a combined heat and power plants (burning fossil fuels) that recycle heat for nearby facilities. While renewables and storage will contribute heavily in the future, only six percent of energy in microgrids currently comes from renewables, according to GreenTech Media Research. Many communities today are asking for a microgrid. But not everybody knows what it is, let alone why they should have it. Unlock Distributed, Clean Energy. With the rapidly declining costs of solar energy and storage, the microgrid presents a way to spur, organize, and aggregate distributed energy resources. Microgrids can even help pave the way to 100 percent renewable energy. Existing island microgrids in Hawai’i and Kodiak Island prove that 100 percent renewable energy is within reach, while solar-and-storage microgrids are spreading rapidly as a commercial service. Promote Resilience. The ability to operate independently, or island, fortifies microgrids against greater grid outages. In the wake of Hurricane Sandy, many Northeastern states and utilities have promoted microgrids as a less-costly solution than power line and generation upgrades, as microgrids stayed online during wider grid outages. They also provide vital services to the “macrogrid,” such as lowering their energy use during times of high energy demand or providing quick bursts of energy from batteries. Be Cost-effective. Microgrids can operate more efficiently than the larger grid by stacking energy services. 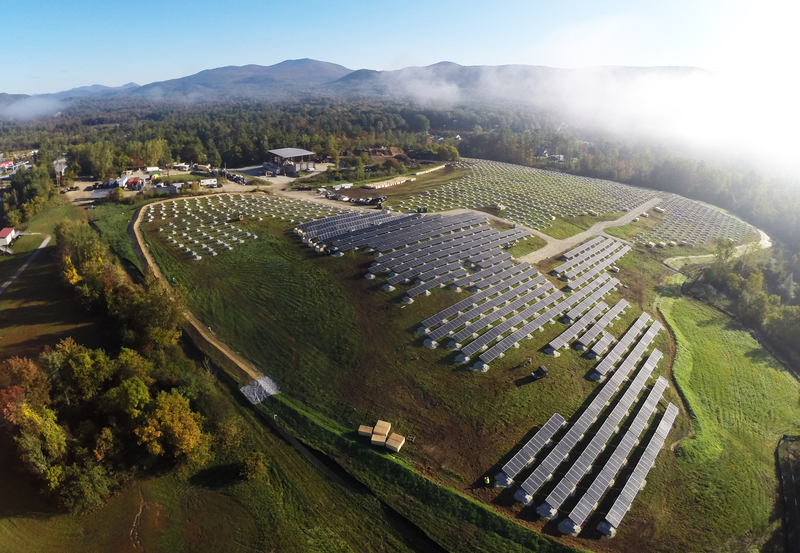 Stafford Hill, a microgrid in Vermont, deploys solar and storage to provide power to the grid, storage in case of emergency, and grid services (such as voltage regulation) based on its power production, all together producing a net economic benefit to the utility and its ratepayers. Combined heat-and-power systems in campus microgrids such as the University of Austin-Texas decrease cost and carbon emissions. Strengthen Local Economies. When an electric bill is paid, the money typically leaves the community to distant shareholders and large corporations. But with a local microgrid that employs resources owned by community members, dollars stay in town and customers may even have the ability to buy and sell power and services with one another. The microgrid’s network enables households to coordinate energy saving measures, sending energy bills downward even more. Resiliency in the form of less outages helps avoid economic losses from electricity – up to $75 billion dollars in lost economic output per year in the U.S. Businesses that depend on power quality may be drawn to regions with high power quality from microgrids. Transform the Grid and Utilities. The electric grid is changing. In the words of one engineer, it’s becoming a smart grid, full of distributed energy users that transact with each other. Depending on regulations, it could become an environment where everyone could produce energy, not just utilities. The grid could be a neutral marketplace in which a microgrid presents the opportunity for a community to optimize all features of the new smart grid — everything from smart thermostats and storage to solar and electric vehicles — in one location for the direct local benefit of the people involved. Microgrids offer an intriguing technological and electricity market future. The next section provides examples of microgrids and how they are evolving. When Hurricane Sandy hit New England, it cut power to 8.5 million people, and left more than one million without power for a week as electric utilities struggled to clean up the wreckage. Making matters worse, up to 60 percent of backup diesel generators failed for medical centers, first responders, and other critical facilities. With a 15 megawatt (MW) combined heat and power generator as well as 5.3 MW of solar, Princeton University’s microgrid kept its campus live for three days while power was cut during Hurricane Sandy. South Oaks Hospital, a 245-bed healthcare facility on Long Island, remained disconnected from the grid for fifteen days after Sandy with the help of its 1.25 MW combined heat and power generator and 47 kilowatts (kW) of solar. The hospital accepted patients from other sites that lost power during the storm. With climate change likely to worsen or make storms like Sandy more frequent, Northeastern states provided $400 million to fund the development of community microgrids and resilient infrastructure. Because of these programs, more than 40 municipalities in the Northeast will have microgrid projects completed in the next year. In 2012, Connecticut became the first state to create a microgrid funding program, with $48 million. Unlike other programs, which mostly fund feasibility studies, the Connecticut Microgrid Program funds the cost of design, interconnection, and engineering services. The state legislature also allowed municipal microgrids to cross public rights-of-way, a right usually reserved and protected by the incumbent electric utility. The first two funding rounds in Connecticut supported 11 projects. Most projects in the first round relied heavily on diesel generators. To avoid the pollution that comes from using diesel, the state changed the rules in the second round to limit diesel generation and incentivize renewable energy and storage. According to Peter Asmus, principal research analyst with Navigant Research, the program has been complicated by stringent requirements for long-term islanding and lack of metrics for resiliency. Furthermore, utilities in Connecticut are still concerned about where their ownership of the grid ends, and the microgrid begins. Milford, Conn., won nearly $3 million for its second round proposal. The microgrid joins together critical facilities such as government centers, an apartment building, a middle school, and a senior center. Power generation comes mainly from combined heat-and-power, with more than 40 percent of its capacity coming from solar and storage. New York, already a leader in microgrid development, offered the nation’s first microgrid prize, with $40 million to fund feasibility studies for municipal microgrids. Overwhelmed by proposals, the state awarded funds for 83 feasibility studies, 58 more than originally intended. As shown on the right, these projects across the state present an array of local, renewable energy pro jects. 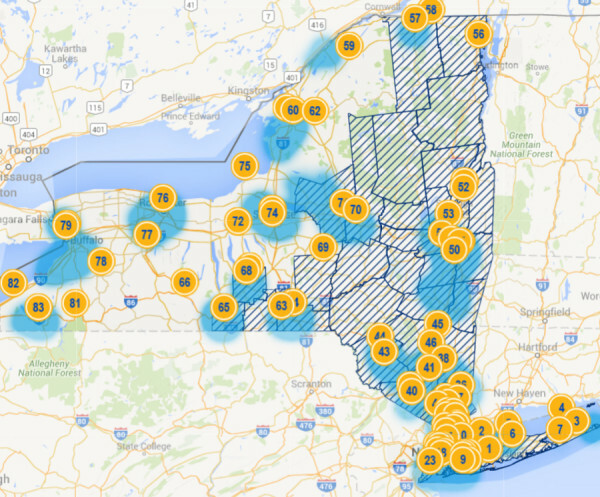 One project in Long Island from the Clean Coalition seeks to achieve nearly 50 percent of its local energy needs through 15 megawatts of local solar production, also deferring a proposed $300 million transmission project of the local utility by providing 25 megawatt-hours of energy storage. The microgrid, while providing a platform to integrate high levels of solar and storage, will provide backup power to a water pumping and filtration facility as well as a firehouse. Westchester County boasts the largest number of microgrids supported by NY Prize money: 14 different projects by a variety of vendors. It is attempting to use the “community choice aggregation” model — providing local control over electricity purchases for all customers — as a vehicle to coordinate microgrids developed by multiple parties on a regional basis, a one-of-a-kind approach. Like the example above, other projects also bring in several third-party technology vendors, utilities, and adjacent towns or government agencies on a proposal. More than half utilize solar. Nearly half utilize a form of storage. One focuses on low-income citizens in Brooklyn, another on a food distribution center that supplies 60 percent of New York City’s produce, meat, and fish. These projects will move into construction within the next few years. In Maryland, Baltimore Gas & Electric is now proposing to build and own two microgrid projects following state task force recommendations, although both will rely solely on natural gas generators. Meanwhile, the first commercial solar-and-storage microgrid was built in 2013 at Konterra Realty headquarters in Laurel, Md. By selling frequency regulation and demand response service into the electricity market, it generates revenue while also serving as a power backup. The microgrid also supplies two electric car-charging ports. Microgrids are most commonly used today to supply reliability that is unmatched by the larger grid. The most common customers include facilities owned by the military, universities, schools, and hospitals (MUSH, for short). Most of these microgrids simply supply backup power. Some microgrids go beyond to provide better energy services internally and to the larger grid. One of the United State’s largest microgrids is located at the University of Texas, Austin. A 137 MW combined heat and power generator burns natural gas, providing the campus with 100 percent of its electricity. It also provides heating and cooling services by transferring the waste heat through a district energy system consisting of a series of underground pipes that carry steam and chilled waters to all corners of the campus. The 80+ year-old CHP system captures 88 percent of the energy that goes into the generator, compared to old coal plants that are 30 to 40 percent efficient. The campus microgrid is also more than 30 times more reliable than the nation’s electric grid. 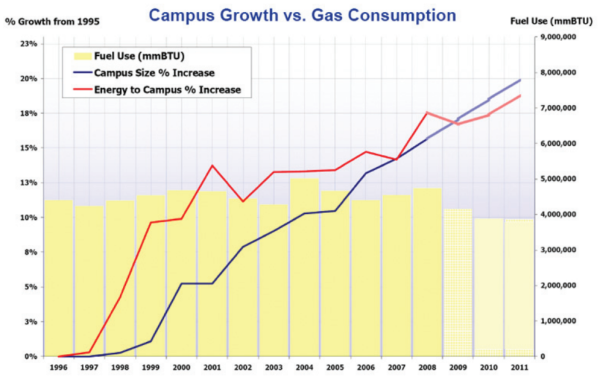 As shown above, thanks to massive investments in energy efficiency, the UT-Austin microgrid kept greenhouse gas emissions and fuel use level even while the campus and its energy usage grew by 20 percent. The university has saved more than $4 million a year with its microgrid, compared to buying energy from the grid alone. Arguably one of the most sophisticated single-user microgrids is at Santa Rita Jail in California’s Bay Area. The jail’s microgrid effectively presents its varied resources — including solar, wind, fuel cells, storage, and diesel generators — to the larger grid as one controlled resource, appearing just like any other house or building. It can store energy, self-supply, or buy energy from the larger grid, using sophisticated electronics to balance onsite generation and demand. At the Santa Rita microgrid, each distributed resource has its own control scheme and can communicate with the other technologies, whether generators or storage systems, peer-to-peer. It thereby distributes the responsibility of control, in contrast to most other microgrid controls which rely on a single master controller. The system reduces the chance for complete system failure, because each component can independently adjust if another fails. The peer-to-peer controls of the Santa Rita Jail allow the grid to self-heal and, perhaps most importantly, easily add new distributed energy without having to completely redesign the control system. The result of peer-to-peer control technology is a more sustainable and adaptable microgrid. While East Coast communities explore the microgrid’s future, some utilities are building state-of-the-art microgrids themselves. With smart control systems and the ability to incorporate customer-owned energy generation, these microgrids show what a utility can do for its customers and the larger grid to prepare for the future. A microgrid requires a processor to make it think and move. These controls come in two main forms: centralized master controls or decentralized peer-to-peer controls. Both styles, not necessarily mutually exclusive, incorporate common responsibilities such as the ability to autonomously island the microgrid from grid disturbances, balance generation and load, and respond to pricing signals and other events. Like a conductor for an orchestra, master controls control everything. They typically maintain voltage and frequency for the local generators, such that a certain level of power quality is maintained throughout the microgrid. With peer-to-peer controls, however, each local generator acts as just one member of a band, maintaining its own voltage and frequency, communicating with its “peer” generators to output optimal power quality. Generally, master controls are the more trusted technology, while peer-to-peer controls allow for easier maintenance. Larger vendors tend to want to adapt existing controls used for higher voltage systems for microgrids; smaller vendors, without legacy products, favor a more bottoms-up and distributed controls platform. Lasseter, Bob. “U.S. Department of Energy Electricity Advisory Committee.” University of Wisconsin – Madison: College of Engineering. October 20, 2011. (Accessed February 9, 2016). http://energy.gov/oe/downloads/electricity-advisory-committee-meeting-presentations-october-2011-microgrids. Texas-based Oncor, the sixth-largest transmission and distribution utility in the nation, was looking to upgrade an old environmental center when senior management had an idea. The new facility was for an electrical component testing facility as well as telecommunications. It couldn’t afford to lose power. So why not make it a microgrid? As a transmission and distribution utility, Oncor can’t legally sell any power to the market, so its microgrid is limited to using stored power to offset its own purchases. Further market changes in Texas that allow the utility to sell stored energy to merchant generators will be needed before microgrids and storage can tap this revenue stream. Jamie Patterson, an employee of the California Energy Commission, explained that one of the biggest challenges for this microgrid was building a controller to fully utilize the existing customer-based resources. Unable to agree on contractual terms with vendors to build a universally applicable microgrid controller for scaling other potential microgrids, the utility instead made a project-specific microgrid visualizer that enables the utility to monitor all microgrid operations. Recently the utility installed a new control system with the vendor Spirae called “Wave,” allowing the utility to better coordinate diesel generators, electric car charging, and storage charging. The microgrid successfully islanded during a severe storm event in the summer of 2013, potentially saving dozens of citizens’ lives by providing cooling zones during the intensity of triple-digit heat, according to project representatives. After adding connection to a 26 MW solar array in 2015, Borrego Springs became the first microgrid in the United States to rely heavily on only solar energy and storage during a planned outage. Green Mountain Power was leasing a landfill from the city of Rutland, Vt., when its employees had a thought. Knowing the city wanted to become the “solar capital of New England” (with the most solar watts per capita), the utility decided to expand a proposal for solar power into a microgrid. In 2015, the utility built the nation’s first solar-plus-storage only microgrid that was capable of providing full, indefinite backup to its critical facility, in this case a local high school. With 2.5 MW of solar and 4 MW of battery storage, the Stafford Hill microgrid works like any other solar array with battery storage during normal operation, providing ancillary services such as frequency regulation and capacity to the larger grid. The Stafford Hill microgrid will provide total energy-related benefits of $350,000 to $700,000 per year and pay itself off in less than 10 years. The Stafford Hill microgrid is just one way Green Mountain Power is trying to “stay ahead of customer demand” for solar integration. The utility wants to expand the Stafford Hill microgrid to include customer-sited solar panels as well as smart appliances like electric water heaters that can instantly adjust when they use energy. The utility is also financing tesla batteries for its customers and planning to offer solar and storage microgrid solutions to other communities. Green Mountain Power stands out, but in part because is the only investor-owned utility also registered as a Benefit Corporation, meaning the utility is legally able to balance the concerns of shareholders with society and the environment. Due to the high cost of importing fuel oil for electricity, and without a larger grid to connect to, many islands are natural locations for heavily renewable microgrids. According to the Rocky Mountain Institute, Kodiak Island in Alaska is among the largest of these high renewable microgrids. Kodiak Island uses hydro power, wind turbines, and storage for its energy. The hydro acts as a baseload, while the turbines combine with the a lead-acid battery and flywheel energy systems to handle long- and short-term energy needs, respectively. Since 2000, electricity costs have continued to fall with more renewable energy integration. The community saves around $4 million a year compared to using only diesel. More stable electricity rates have even led to expansion in the local fishing industry. The average residential rate is $0.14 per kilowatt-hour, only marginally higher than for the average grid-connected customer in the lower 48 states. Hawai’i is among the world leaders in renewable energy and in microgrids. 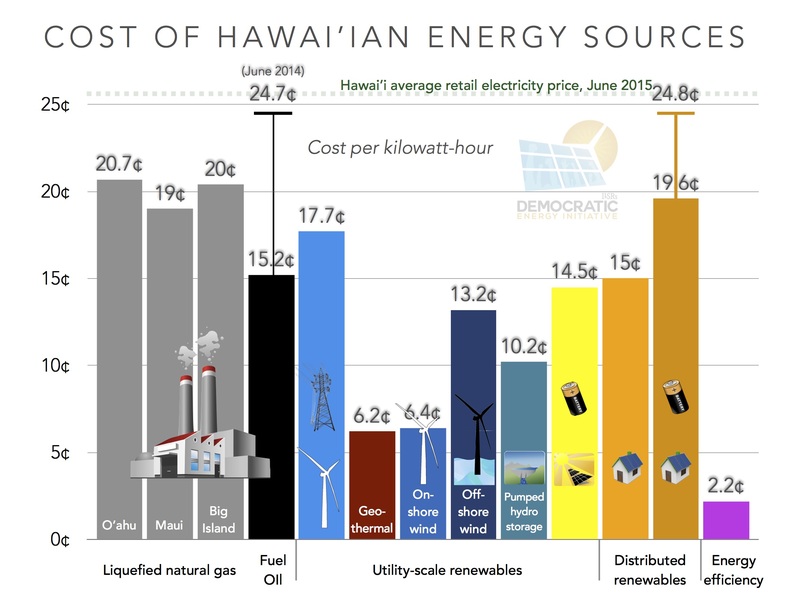 Most of the Hawaiian Islands’ electricity comes from burning oil, but as prices rose in recent years, the price of electricity did too. Electric rates were two to four times higher than those on mainland United States. As a result of high electricity prices, more than 70,000 customers across Hawai’i turned to rooftop solar. On the northern tip on Hawai’i Island, a 100-kilowatt wind turbine with energy storage and a small amount of solar powers a water pump for 14 farms and 400 acres. The water is pumped to a storage reservoir, which supplies water to farmers through a gravity-fed irrigation system. The project is funded mostly through the U.S. Department of Energy. On Kauai, home to the Kauai Island Utility Cooperative, solar sometimes provides more than 90 percent of daily peak load. Kauai’s yearly energy needs are met by more than 40 percent renewable energy, and the utility is increasingly using solar-plus-storage to reach even high rates of renewables. On the island of Hawai’i, robust geothermal resources support more than 50 percent renewable energy. On the islands, solar and other renewable resources are often the cheapest energy source, as revealed by a previous ILSR report. The University of California, San Diego, supplies 92 percent of its own energy. Its microgrid, based mainly on a combined heat-and-power natural gas generator as well as several solar and storage projects, saves the university over $8 million annually. This microgrid saves the university over $8 million annually. The campus is also home to some of the most innovative electric vehicle pilot programs, sending power from car batteries back to the larger grid. In a microgrid, electric vehicles can absorb solar energy when the sun is high, or stagger charges to avoid peak demand costs. As shown in the chart above, the orange line represents what happens when electric vehicles charge all at once. Collectively, their demand pushes the peak demand of the facility upward, resulting in a higher demand charge from the utility. In contrast, electric vehicles that sequence and synchronize their charging cycles after each other result in uniform, more easily controlled demand that avoids high demand charges. Car batteries, so long as the owners are properly compensated for extra wear and tear, can be aggregated to aid the grid. The new program at San Diego does so: vehicles will receive grid commands and price data from the microgrid. If energy prices are high, they will discharge; if they are low, they will charge. This practice, known as “vehicle to grid,” has been largely untapped, save for one program at the University of Delaware now running in its third year. As one GreenTech Media article explains, almost all existing electric vehicle chargers only aid the grid by reducing the rate of car charging, not sending power to the grid. The campus microgrid plans to host 70 chargers, the third most of any location in California. While campus representatives say that won’t make a dent in present energy usage, they’re more concerned about the next five years, as the campus becomes a charging resource to university employees who don’t have powerful chargers at home. Last year California was the first state in the country to require its electric utilities to submit distribution resource plans. Combined with community choice aggregation – allowing cities to purchase power from a microgrid – and a state-mandated reliance on renewable energy, these new plans may boost microgrid development. Usually, utilities consider top-down approaches — large power plants and long power lines — in electric grid planning, and file these integrated resource plans with regulators every few years. Distribution resource plans approach grid planning from the ground up, making each utility assess the best locations and reimbursement schemes to bring distributed resources online. Rooftop solar, energy efficiency, and microgrids must be considered alongside large power plants and long power lines, and the data must be provided to the public and third party developers alike. As a result of the new regulations, one of the three largest utilities in California, Pacific Gas & Electric, has started planning its first utility-sponsored microgrid at Angel Island State Park. With 100 kilowatts of demand, or the energy that is needed on the island on a daily basis, the project is intended utilize renewable resources to reduce dependency on the cable that connects electricity to the island. The Blue Lake Rancheria microgrid, with funds from the California Energy Commission, is also building a microgrid to benefit its 51 tribal members in Northern California. The county is connected to the larger grid by a single, 70-megawatt power line, vulnerable to earthquakes and more-frequent wildfires. A 175 kilowatt biomass-to-fuel-cell generator and several smaller diesel generators are onsite, and the tribe will add 500 kilowatts of solar, and 800 kilowatts of energy storage, to advance toward its goal of 100 percent renewable energy. Once the microgrid is constructed, it will sell demand response services into the market, while reducing peak demand locally. This microgrid may also be a model for aiding poverty-stricken rural communities, or those that still lack a grid connection. One in five people in Humboldt County are below the federal poverty level and, in general, 14 percent of households on Native American reservations lack access to electricity. As the cost of building power line to remote areas can reach $60,000 per mile, Blue Lake Rancheria’s microgrid might be a solution other rural communities can use. Distributed energy advocacy group Clean Coalition, heavily involved in the new distribution planning rules, is designing a community “microgrid” in the Bayview-Hunters Point area of San Francisco. The Hunters Point Community Microgrid Project will add up to 30 megawatts of rooftop solar to meet 25 percent of the yearly energy needs of over 35,000 residents. The community, where 30 percent of families there earn less than $10,000 per year, should benefit from more than $120 million in regional economic stimulation. 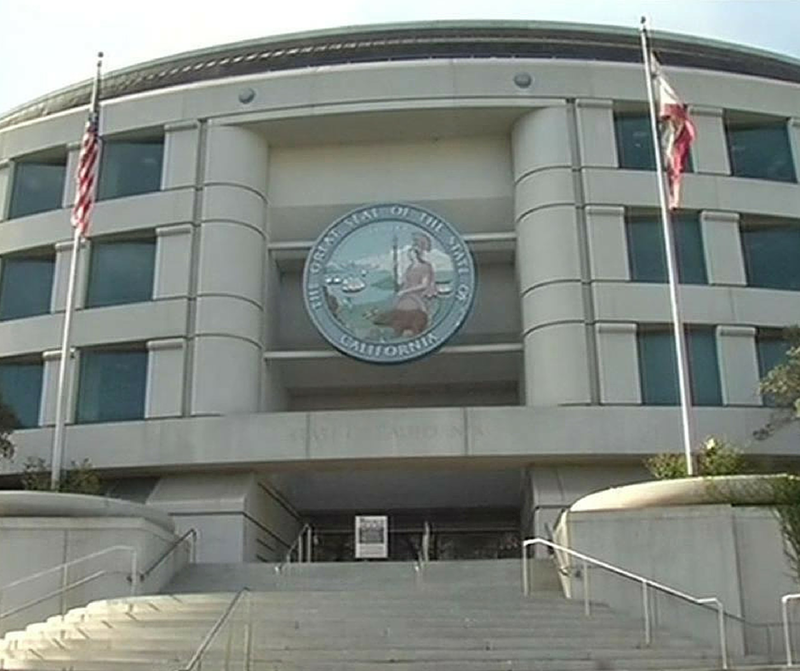 Pacific Gas & Electric, the incumbent utility, is still deciding to how to go ahead with this proposal, wherein the Clean Coalition will select priority loads to island in case of a larger grid disturbance. With these microgrids as base points, the Hunters Point Community Microgrid Project will emphasize how to scale rooftop solar with proper technology and planning. Thomson, Greg. “Community Microgrid Initiative Overview.” Clean Coalition. October 15, 2015. (Accessed February 11, 2016). 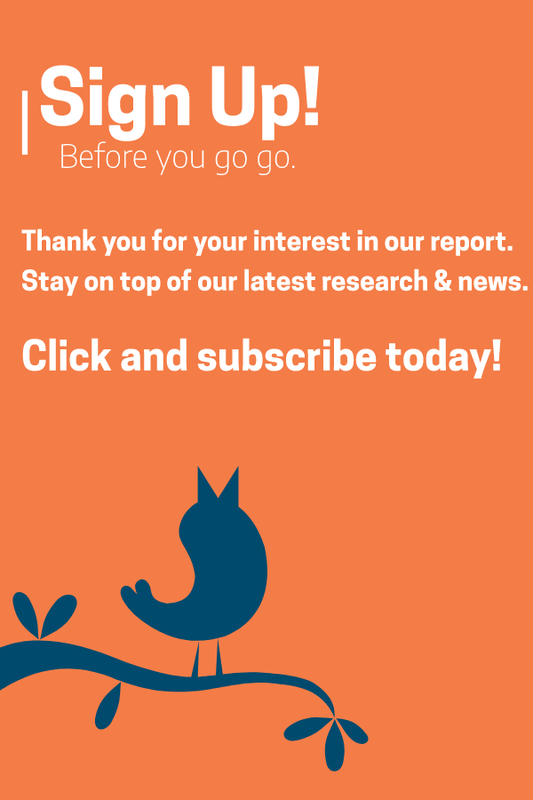 http://www.clean-coalition.org/site/wp-content/uploads/2015/10/Community-Microgrid-Overview-15-Oct-2015.pdf. Clean Coalition. “The Hunters Point Project: A Model for Clean Local Energy.” March 26, 2014. (Accessed February 11, 2016). http://www.clean-coalition.org/site/wp-content/uploads/2015/08/HPP-Benefits-Analysis-Summary-22_jv-10-Feb-2016.pdf. Email with John Bernhardt, Outreach and Communications Director at Clean Coalition. 1/21/2016. The microgrid industry is just entering commercial development. There is no standardized microgrid, as most projects are “one-offs,” unique in their technology, control systems and financing. But there are hints at microgrids becoming more economical and easy to build. In fact, with the declining cost of solar PV, wind and advanced batteries, many microgrids under development today can provide more reliable and cleaner electricity than the grid – and at a lower cost. A few companies such as SolarCity are beginning to offer “turnkey” nanogrids, which are ready immediately upon installation, for single buildings. Solar and storage prices are rapidly falling, as much as ten percent per year. The Rocky Mountain Institute suggests that many residential customers could economically reduce or remove entirely their electricity demand from the grid within the next ten years. Some microgrids are currently reporting five to ten year paybacks. Even the strictly solar and storage project at Stafford Hill reports a payback of less than 10 years. Other trends could accelerate microgrid growth. Energy analysts at Navigant saysif regulatory authorities develop new rules, and industry develops standardized business models for microgrids, then more microgrids could be adopted than predicted. More cost reductions and public funding will be key to support microgrid formation. Many utilities, which have sought to outright block microgrids in the past, and now investigating what role they might play. Public financing programs. The U.S. Department of Energy is putting hundreds of millions of dollars into microgrids and grid modernization. New York has a $40 million microgrid program. Connecticut has a $48 million dollar microgrid program. New Jersey pays for up to 30 percent of energy storage projects and has a $200 million Energy Resilience Bank providing grants and loans for distributed energy projects at critical facilities. Municipal utilities and electric cooperatives. With local control over the wires in town, municipal and member-owned utilities have the benefit of bypassing the fight against an incumbent utility for control of energy and distribution in the microgrid. Fort Collins, Colo.’s municipal utility, for example, has begun integrating microgrid technologies into the local businesses and university. Norwich, Conn., established a microgrid connecting the local hospital with a gas station and other critical facilities. Distribution cooperatives and their generation and transmission cooperatives could begin working together, the National Rural Electric Cooperative Association writes, to provide microgrid services at the retail level while working supporting the stability of the grid as a whole. Market rules to making utilities indifferent toward distributed energy. State policies that decouple utility revenues from how many kilowatt-hours they sell (called decoupling), and policy that rewards them for their performance, not their capital projects (called performance-based regulation), can both help incentivize utilities to look beyond owning and controlling the energy market. Decoupling helps because utilities become indifferent to the loss of sales to microgrid owners. Performance-based regulation means they are indifferent to the ways microgrids reduce the opportunity for making a return on new capital investments such as substation upgrades or new power generation. Taken together with other policies such as retail rate reform and distribution planning, states can better promote distributed generation and microgrids. Microgrid development, particularly microgrids between multiple utility customers, requires a reckoning with the utility monopoly structure, the status quo in many states. Either microgrids are given official policy blessing or they may be limited to single customers or utility ownership. 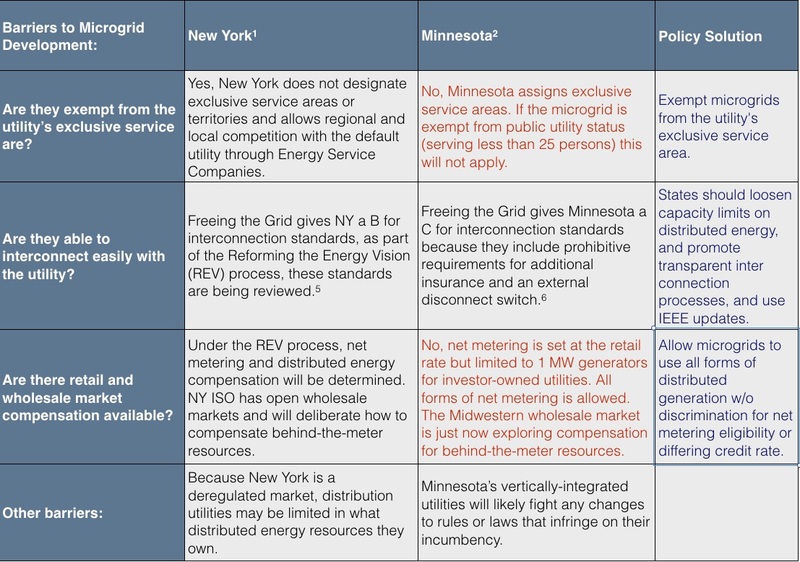 This is why the Reforming the Energy Vision (REV) regulatory proceeding in New York state is so important to microgrids. REV’s end goal is to create a resilient grid, but more by decentralizing power production and making the electric utility less a dominating market force than a disinterested grid operator. The 83 microgrid proposals under the state’s microgrid program are the start to what could be a market of decentralized generators within communities across the state. If the status quo continues and rules do not change, then growth will likely be limited to particular places and as Navigant says, “the microgrid market opportunity [will be] only large enough to support a handful of players.” In other words, despite growth in microgrid development, utilities will continue to control the electric grid. 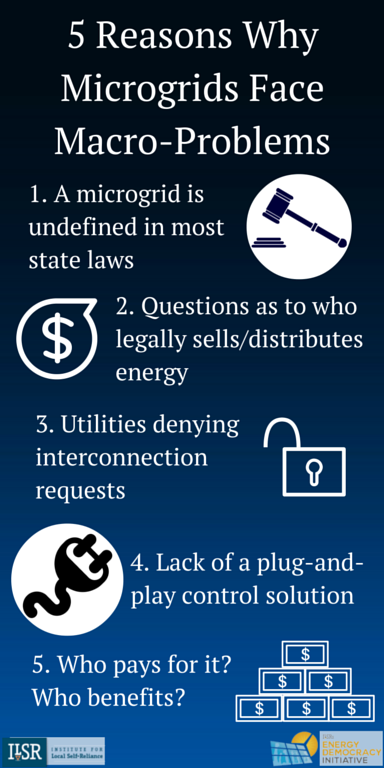 Microgrids are largely uncommon because it’s illegal in most states for someone beside the incumbent utility to sell or distribute electricity. And even if the microgrid could sell or distribute electricity, it might risk being labeled as a public utility and be subject to costly regulation. In other words, states may need to define a microgrid in order to clarify its legal standing within the state and how it will be regulated. So far, only Connecticut has completed a statutory microgrid definition. 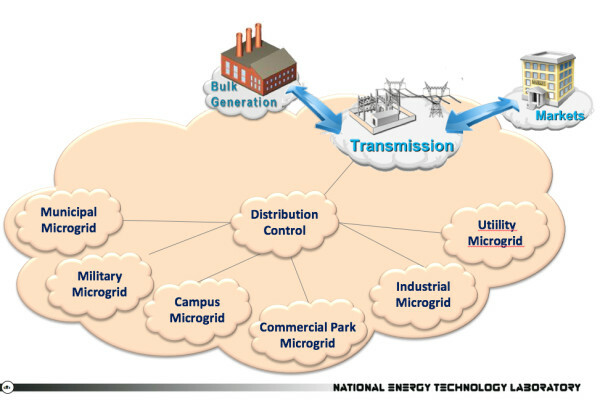 Under Connecticut law, a microgrid is “a group of interconnected loads and distributed energy resources within clearly defined electrical boundaries that acts as a single controllable entity with respect to the grid and that connects and disconnects from such grid to enable it to operate in both grid-connected or island mode.” It includes exemptions from the utility’s franchise (more on that below) and microgrid size allowances. Community microgrids connect different energy users together. Sometimes, that connection will necessarily cross public right-of-way (e.g. streets) or pass between properties of multiple, different owners. When that happens, depending on the rules of the state, a microgrid will necessarily handle the distribution or reselling of electricity. In many cities, that violates the incumbent utility’s monopoly, or “franchise,” to be the sole reseller of electricity within a city or certain territory. A franchise, in other words, comes in two forms: the utility’s negotiated agreement with a city allowing it to cross public rights-of-way, or its exclusive territory within a state. Connecticut allows microgrids to bypass the franchise by explicitly allowing municipal microgrid electric lines to cross public rights-of-way such as roads. Other states, such as Massachusetts, do not define the franchise as being able to cross a public right-of-way. Other states allow third-party solar to sell power in exclusive territories. No one, to date, has taken a comprehensive look at franchise rules in all fifty states, which would say exactly where and under what circumstances a microgrid could operate. Deeply important in this discussion is what defines a “utility.” Microgrids, by their function, defy being labeled a customer, utility, or otherwise. But by being labeled a utility, a microgrid may be subject to costly regulation by the state. It will also be in direct conflict with franchise rules. Third-party financing rules that allow solar companies to sell electricity to customers, thereby sidestepping the franchise, are already prevalent in at least 26 states. But these rules apply only to providing power to a customer from their own property, and not from anywhere else. Although microgrids are designed to island and work independently within the larger grid, most will require a grid connection. But most electric utilities do not want something that produces energy they cannot control or detect. Moreover, during an outage in the larger grid, a utility sees the microgrid’s island of electricity as a liability because line workers and civilians may expect power lines in that area to be dead. Ironically, the key features of a microgrid — reliable power during a grid outage and the ability to switch between consumption and production — are a barrier to development. The Institute of Electrical and Electronics Engineers (IEEE) form all electric utility engineering standards in the nation. While some IEEE standards have been and are being updated to include islanding and other microgrid-related rules, most state rules lag behind. 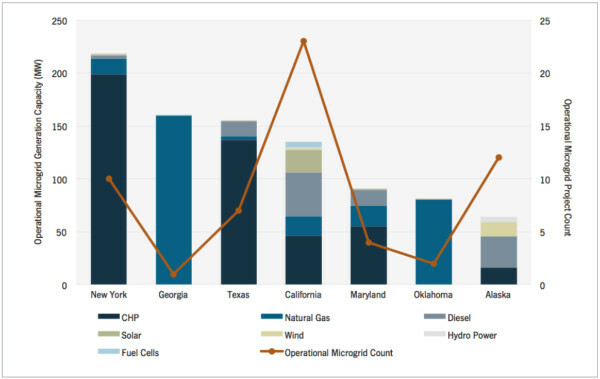 Despite years of data showing safe microgrid operation on and off the grid, utilities are still allowed by most states to require costly and time-consuming interconnection studies and limit, without transparency, the amount of distributed generation on their power lines. California and New York, again, serve as examples of how to clear the opaque determinations of interconnection, streamlining application timelines while standardizing interconnection rules between all utilities. Further limits on generation size can curtail microgrid size and the potential useful grid services it could perform. Freeing the Grid, a policy guide from advocacy group Vote Solar, grades each state on its interconnection practices and provides entry-level detail on interconnection practices across the nation. The microgrid controller at the Santa Rita Jail is close to a plug-and-play solution for microgrids. Yet third party vendors and utilities hesitate to use something that they did not invent, instead developing proprietary models that they control. In the meantime, custom control solutions easily take up 30 to 50 percent of the microgrid cost, according to Bob Lassater, a microgrid researcher at the University of Wisconsin. Evolving these control constraints will free up capital and lessen the lengthy timeline for developing microgrids. Will the utility assess a standby fee on the microgrid? If utility owned, will it be part of the utility’s rate base? What revenue streams does the utility offer for distributed generation (e.g. net metering, value of solar)? What revenue streams does the market offer (e.g. voltage control or frequency regulation)? Will multiple partners own the microgrid? Will the users be assessed a separate fee? Can people opt in or out? Will the fee be per kilowatt-hour, a flat fee, or otherwise? Standby charges and exorbitant exit fees are among the two biggest barriers for microgrids. The New York University microgrid currently pays more than $11 million every year in standby charges. This and other standby charges may ignore the benefits that a microgrid brings to the larger grid. The same issue occurs with exit fees, which penalize customers that want to take most or all of their load off-grid. Recently, three Las Vegas casinos sought to exit electric service from Nevada Power, only to have the state utility commission find that $125 million was necessary to compensate the utility for lost revenue from expected electricity sales. Such fees are onerous and discourage clean energy consumption or self-supply. Furthermore, retail compensation rules need tweaking. Net metering does not take into account where and when energy is most valuable, and microgrids are uniquely suited to deliver power to the grid in particular places or at particular times. 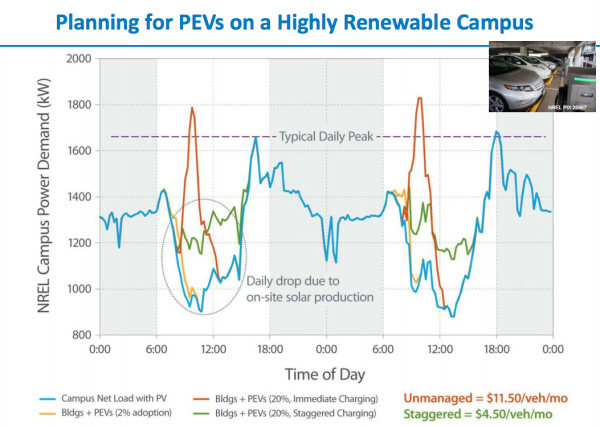 Distribution planning in California, for example, can help determine a true time- and place-value of distributed energy, such that fair and transparent pricing could guide microgrid development. For a grid tool meant to enhance local control and reliability, the islandable microgrid can also make significant revenue in the wholesale market, if there is such a market. Depending on the market (PJM, MISO, ERCOT, etc. ), it may be able to collect revenue from demand response, frequency regulation, and other ancillary services for its energy storage. Two-thirds of the storage constructed in 2014 was located in East Coast-based PJM, where the size entry limits – 100 kilowatts – are the lowest of the wholesale markets and the compensation types the most robust. Other markets similarly undervalue storage or have no transparent price at all. For example, the Brattle Group estimates that 30 to 40 percent of the total system-wide benefits of storage are not reflected in wholesale prices in the Texas market. Will microgrids expand to their full potential? Or will state, utility, and market rules hold them back? A number of communities not mentioned in this report are developing microgrids, tailoring their potential to local needs. Eugene, Ore., is building solar-and-storage microgrids at its communications centers, hoping to one day pair community solar with microgrid technology. La Pointe, Wisc., is calling for proposals to build a solar-and-storage microgrid on Madeline Island in Lake Superior. The towns of Potsdam, N.Y., and Hoboken, N.J., are both focusing on renewable microgrids that will protect the community from outages from extreme weather. These microgrids promise to bring much cleaner, local electricity to these communities, and keep much more of the energy dollar at home. The distinction between the leading states and the laggards is significant. To illustrate the difference, ILSR worked with the Microgrid Resources Coalition to make a chart of microgrid development in New York (a leader) and Minnesota (a laggard) (below). In the right-hand column, we explain the optimal policy. The future of microgrids is about location, location, location. Microgrids depend heavily on state policy and funding. New York and California, for example, are leading the way with numerous microgrid projects. But the kinks, even in these leading states, are still being worked out. According to some California organizations, there is still no way for distributed energy to be “plug-and-play,” or for citizens or third parties to truly engage in the distribution planning process. The Federal Trade Commission, too, warns New York that utilities will still try to discriminate or raise the costs of third-party providers looking to engage in power production and distribution. Most states are still focused on 20th century forms of grid management, with monopoly utilities only reluctantly allowing independent development of distributed generation, much less microgrids. Some utilities are looking to control microgrids just like the macrogrid, and add microgrids to their rate base. Allowing centralized utility control will be a huge missed opportunity, not the least because of a history of utilities attempting to quash competition as they centralize control. A microgrid can integrate high levels of renewable energy and offer greater resiliency to communities while promoting energy ownership, jobs, and local wealth. It can give customers much more control over their energy quality and costs. It can add value to the electric grid. One of the key issues is whether microgrids will be limited to single-customer “nanogrids” or not. Because single-building “nanogrids” face less legal issues from incumbent utilities and regulations than community microgrids, they are becoming more common. The state of Massachusetts, for example, has given preference to solar and storage nanogrids over microgrids in its funding for resiliency, since these systems can be up and running within a shorter time period. Law and policy have thus far favored non-utility control of power generation that serves a single customer, like rooftop solar. But there are (modest) economies of scale in community-scaled renewable power generation, and efficiencies to be gained by sharing storage and generation resources across several customers. A company with a flat roof could provide access to solar for nearby apartment dwellers, who in turn could provide controllable energy demand with many smart appliances like refrigerators. Cities could connect many, separately metered buildings to have resilient public spaces in the face of natural disaster. A neighborhood of residents could aggregate their rooftop solar and smart appliances to sell capacity and energy into markets. These community microgrids face several, much more substantial barriers than nanogrids, as they more closely mimic the utilities they seek to improve upon or replace. Microgrids are a unique and powerful tool of customer and community control. They have a strong potential for growth as the cost of renewable energy and storage continue to fall rapidly, and communities seek to localize control of their energy systems. But the legacy rules of the 20th century grid stand in the way, and it’s up to today’s regulators of the energy market to decide the future of microgrids and community control.